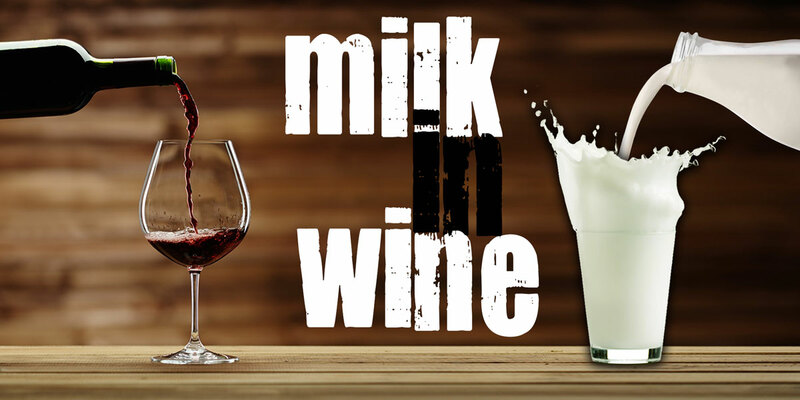 What do wine and milk have in common? They are both liquids, they both vie for a healthy living, but more importantly one helps the other look and taste better… How so? Fining agents! Sulfites, I get it. Sulfites (also spelled sulphites) is a natural element found in grapes, and it is sometimes added during the winemaking process to stop fermentation. But milk??? Yes, milk. Milk is a fining agent and it is commonly used in winemaking. In fact, it is one of many! Fining agents are extracted from many strange sources and elements you would never think of putting in your wine. They are composed of proteins, minerals, or elements taken from a variety of unlikely places, like the swim bladders of fish, milk, and egg whites. Rest assured that there are also many vegan friendly options, such as using seaweed, volcanic clay, fossils, and activated charcoal. Fining agents are simply enzymes that break down molecules to remove the haze from the wine. Most of the suspended solids in your must or wine have an electrical charge. Some have a positive charge while others have a negative charge. Many fining agents also have a positive or negative electrical charge. They are added to the must or wine, and almost immediately the particles would begin to be attracted to and bind with the agents of the opposite electrical charge — like a magnet — then become heavy and sink to the bottom of the wine as sediment, leaving the wine clearer. The other way that some fining agents work is through absorption. The agent may have no electrical charge at all, but has “sponge-like” qualities allowing it to bind with elements in the wine. This new bound mass would then sink to the bottom of the barrel, thus allowing the winemaker to easily filter them out. Multiple fining agents might be used together, as they all have different fining skills. They might also be added to the wine at different stages of the vinification process. They can be applied to the wine before fermentation begins, after the wine has stabilized, and / or just before bottling. The key is in knowing what needs to be corrected in the must or wine, and knowing what fining agent(s) to use for the job. It is NOT an easy process, and it requires years of experience as well as a deep knowledge of the winemaking industry. As people have become more concerned with the use of these animal-based agents, many winemakers have switched to using the vegan friendly forms, or labeling their bottles when material such as egg whites or milk is still used – Australia and New Zealand even require the labeling by law. 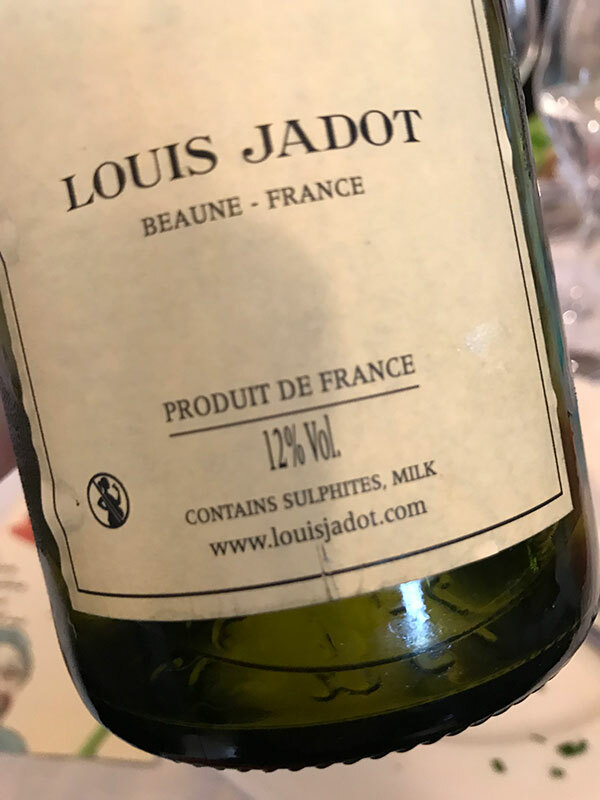 Louis Jadot has taken upon himself to mention it on his labels. Every single wine is fined and continues to evolve after it is bottled. New proteins form, resulting in new sediment. But this evolution takes years and years and is why you typically only encounter sedimentation in older wines. Nice concise, informative article about fining agents. I have great interest in all things wine, but have the attention span of a flea. The excellent writing answered questions i didn’t know enough to ask. I like the brightness of some wines (maybe fined? ), but i also am intrigued by slightly cloudy wines and taste them more carefully looking for something extra. Twomey Winery in Healdsburg (from the Silver Oak family of wines) uses egg whites for fining their Pinot Noir. The process is quite fascinating… and it certainly makes you wonder, who came up with the original idea of putting egg whites into wine to help filter out the undesirable content?